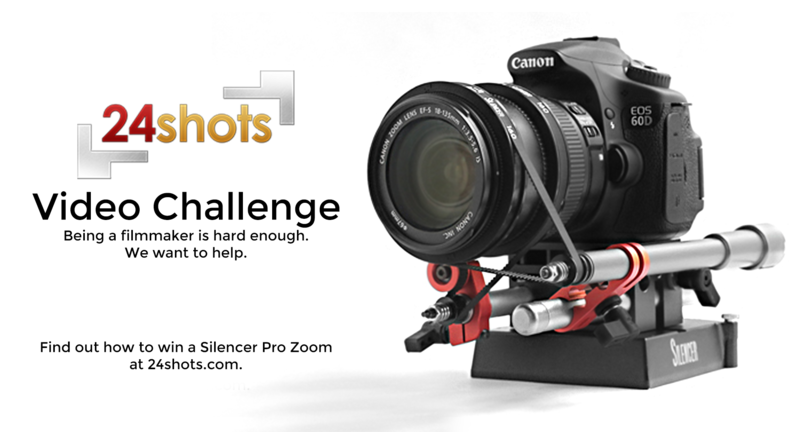 We're giving away a Silencer Pro Zoom for free to the winner of our 24shots Video Challenge! To enter, all you have to do is create a video, film, or advertisement that tells us in a creative way why you want the Silencer! Submissions can only be up to 2 minutes long and they must be submited by 8/1/14. Once you create your video, upload it to YouTube and include "24shots Video Challenge" in the title. Send the link to us at sales@24shots.com and you'll be entered into the contest! Must be 18 or older to submit. By submiting, you agree any footage submited may be used by 24shots.